24/08/2014 In 1960, the United States put its first Earth-observing environmental satellite into orbit around the planet. Over the decades, these satellites have provided invaluable information, and the vantage point of space has provided new perspectives on Earth. This book celebrates Earth's aesthetic beauty in the patterns, shapes, colors, and textures of the land, oceans, ice, and atmosphere. The book features 75 stunning images of Earth from the Terra, Landsat 5, Landsat 7, EO-1, and Aqua satellites. Sensors on these satellites can measure light outside of the visible range, so the images show more than what is visible to the naked eye. The images are intended for viewing enjoyment rather than scientific interpretation. The beauty of Earth is clear, and the artistry ranges from the surreal to the sublime. 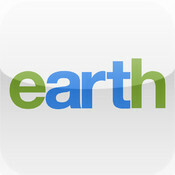 26/08/2014 'easyLearn Earth Science : Structure of Earth' is an attractive way for kids to learn about the Structure of Earth. The facts are presented in a very simple manner and with lots of pictures, kids can learn the facts, practice what they learned and then take the quiz and check their answers. 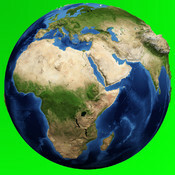 It covers all the basic facts that elementary and middle school kids need to learn, about how the Earth is made: Earth's interior, tectonic plates, soil, all types of landforms and waterbodies (continents, pangaea, mountains, volcanoes, hills, plateaus, islands, valleys, canyons, caves, plains, grasslands, deserts, tundras, coasts, beaches, wetlands, forests, polar regions, glaciers, oceans, seas, bays, gulfs, rivers, waterfalls, deltas, lakes, atmospheric layers, air, clouds and more) and disasters caused by them, Ex, Earthquakes.